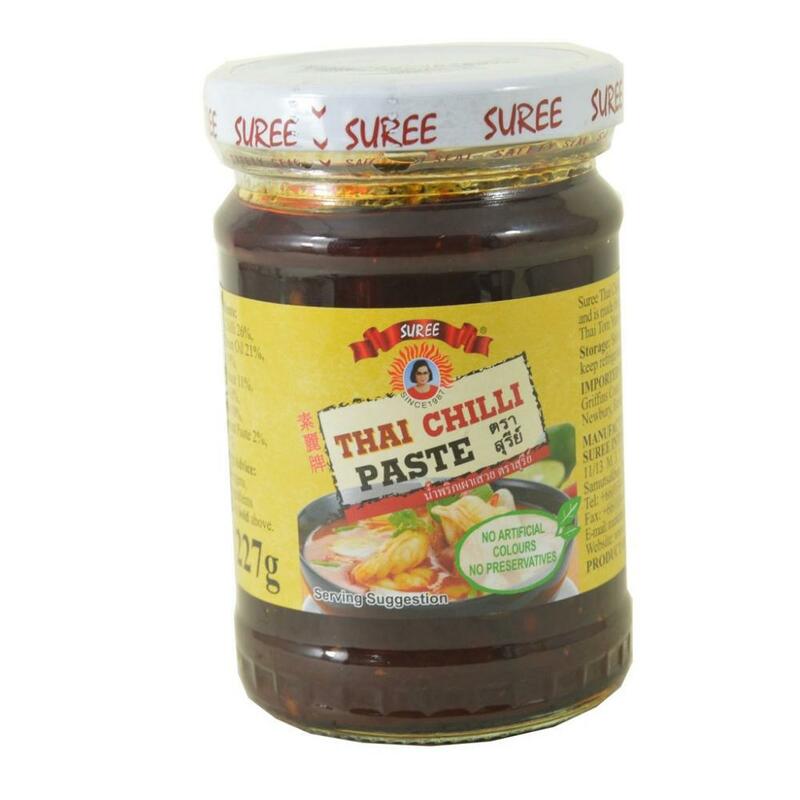 Suree Thai Chilli Paste is one of Thailand's favourite ingredients and is made from an authentic Thai spices. Essential cooking for: Thai Tom Yum Goong, Thai Style Stir-Fry Rice. Free From: Artificial Colours, Artificial Preservatives. No preservatives. Dried Chilli 26% , Soya Bean Oil 21% , Sugar 19% , Fish Sauce 11% , Garlic 10% , Shallot 10% , Tamarind Paste 2% , Salt 1% .